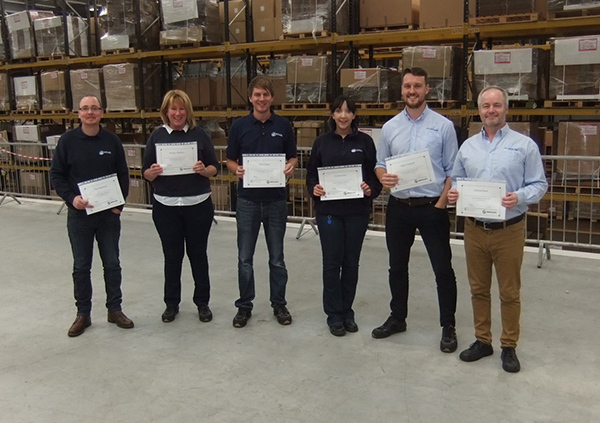 Whale has been running a Lean Six Sigma (LSS) programme since January 2015, with the aim of improving the quality of our products by reducing variation and improving efficiency. The team consists of one certified LSS Black Belt (currently working towards Master Black Belt status), three certified Green Belts and another one in training. Their areas of expertise include manufacturing, purchasing, quality testing and injection moulding. This year we began a Yellow Belt training programme as a basic introduction to LSS to help people understand what the Black Belt and Green Belts are working on, the techniques used, and enable them to be more productive team members when called upon. It is also a great way to get more people thinking of ideas for improvements in their work area. So far we have trained twelve Yellow Belts and plan to run another course for six more before the end of 2017. Yellow Belts come from all over the company and have already suggested projects that they can either do themselves or can contribute to when run by a Green or Black Belt. Through programmes like this we can continue to keep standards high.